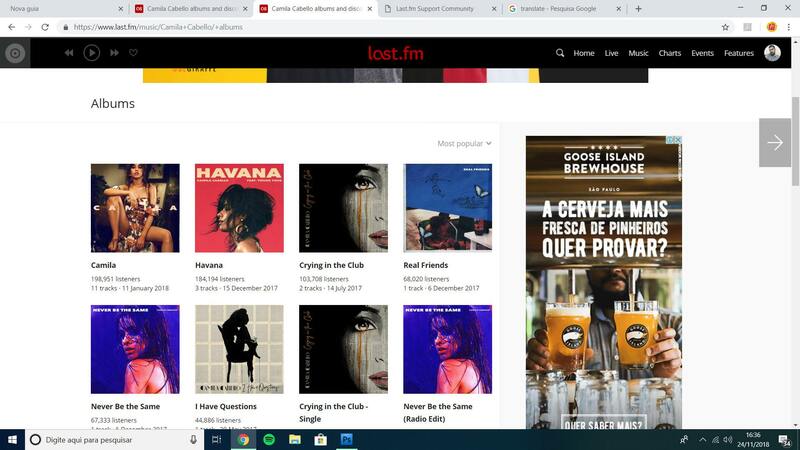 If you go to the main page of the artists you will see that "Top Albums" is not updating, for example if you click "more albums" you will see that the album with more listeners does not appear on the main page. Thanks for reporting. This is a known issue with the catalogue not ordering 'Most popular' albums correctly in both the artist overview and albums page. 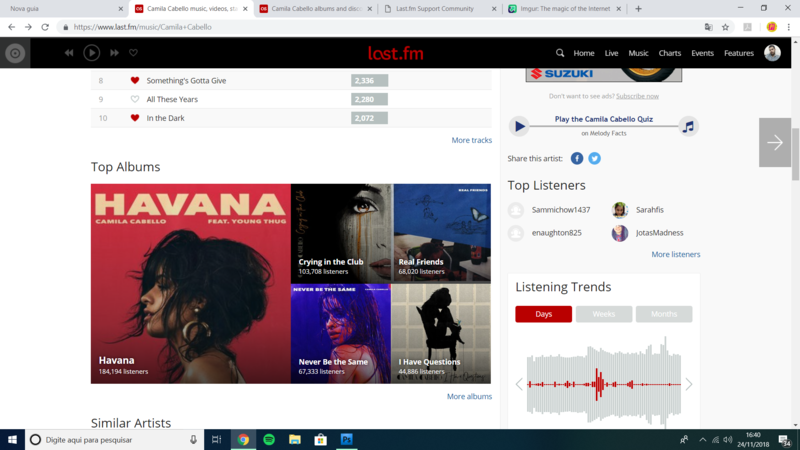 Notice how page 2 has some albums with more listeners than page 1. A bug ticket has been written to fix this issue; and if you saw the new catalogue page preview, we're going to replace "Most popular" with "Recently popular" as the which should make this problem slightly less obvious.